Camping is one of the best ways to spend some quality with our loved ones. I don’t own an RV myself, but I have a couple of friends who love their RV’s, they go camping at least once a month, especially during the summer. 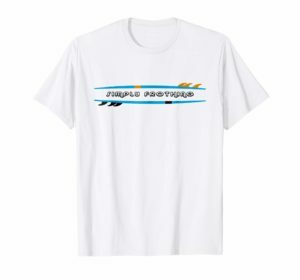 Being a blogger for a bike related website, I asked myself, what is a good travel trailer, or RV, a bike rack that I can recommend to them if they ever ask me:). Funny thing is there aren’t a lot of bike racks specifically for those who tow an RV or a boat. Tow’N GO by Hollywood racks is pretty much the only one that I can find that has a good amount of history and good reviews. So I decided to share what I have found, hopefully, you will find it helpful. 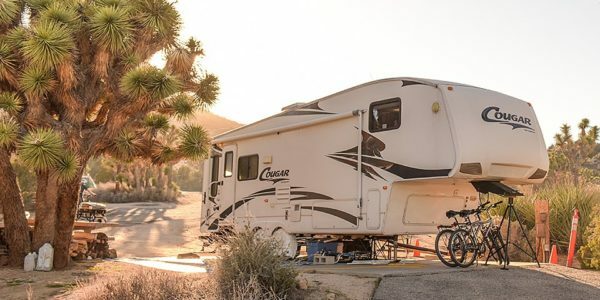 If you would like to learn more about the different types of bike racks for RVs, and trailers, you can read my article that gives you a general idea, here. Hollywood Racks is a good company that has been around quite a while. It has a nice variety of bike racks, which I have written a blog post about in the past. 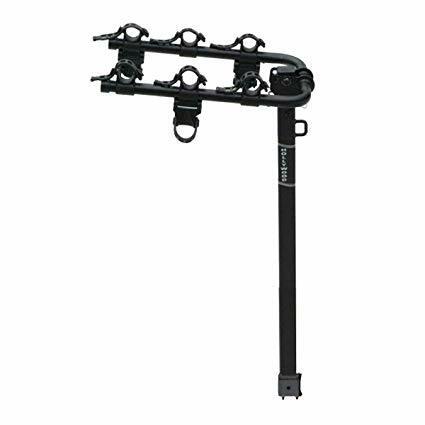 Tow’N Go (model HR135) is a 3 bike travel trailer bike rack that allows you to carry your bikes between your vehicle and the boat or RV you are towing. If you don’t have time to read the full review and would like to see the latest price for Hollywood Tow’N GO, click here. First, let’s get the specifics out of the way for Hollywood HR135. Its dimensions are 44 x 18 x 6 inches and it weighs about 28 pounds. Yes, it is heavy for a bike rack, however, it needs to be in order to have a strong steady base to carry three bikes while sitting in between an SUV (or a truck) and an RV. If you are worried about carrying a heavy bike rack to your vehicle in order to install it, Hollywood actually has a very nice solution for it. It is a valet rack for your bike racks. You just place whatever you are carrying on the valet rack and simply push it to your car. HR135 can carry up to three bikes, each bike can be up to 35 pound max. It is for 2’’ hitches only. 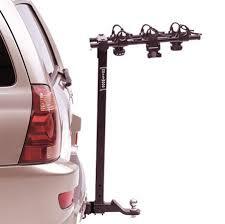 If you are going to tow and carry bikes at the same time, you need a CLASS III hitch. it requires 3 inches of space on your hitch ball mount insert tube. 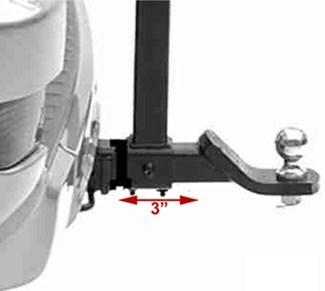 This means, if you have a hidden hitch or don’t have the 3 inches space, you will need a drawbar extension. Everything you need to install is included, except the extension if you do not have the 3-inch space needed. It even has a welded lock point for an optional anti-theft cable. Will it work with a pop-up trailer? Yes, multiple buyers mention that they have used it with their pop up trailer and they were very happy about with it. One important thing to mention here though, if your trailer jack does not swivel, it may affect the turning radius when taking a sharp corner. Can I install it behind the trailer/ RV? No, you cannot. 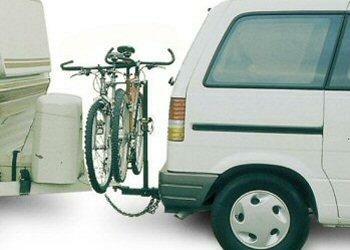 This bike rack is specifically designed to sit between your vehicle and whatever you are towing. Can I somehow fit a fourth bike, maybe a small one? Please don’t. This rack is can only be used to carry up to 3 bikes. And the bikes cannot be heavier than 35 pounds each. 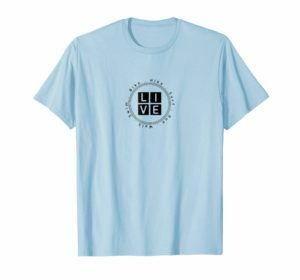 Can I use it for female and kid’s bikes? Yes for most of them you can use them without any issues. However, this is a very common question for a lot of bike racks, especially the female bikes. The better answer is it depends on the model of the bike. You can get a crossbar adapter and then you will have no issues using HR135 with a female bike. No, it does not, and the reason for that design decision is they wanted to ensure the strength. 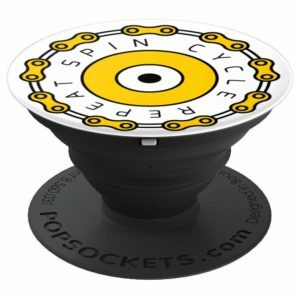 Can I use it with a standard receiving pin, by fitting it through the mounting hole? No, you cannot. Tow’N GO slides over the receiver tube and uses bolts to secure in its place. Can I use it with an anti-sway hitch? If you would like the view the installation instructions, click here. Hollywood makes good high quality, durable bike racks and HR135 seems to be another good example of that. Tow’N Go gets the job done, yes it is only for 3 bikes, and it probably cannot carry a fat bike or a trike (because of the size and weight limits) but, for a camping family, for someone who wants to have some extra storage room in the truck because you don’t have to tie the bikes there while towing a pop up camper, it seems like a great fit. On a separate note, Yardstash has a great compact portable biking storage solution for campers, check out my review for Yardstash IV here. If you would like to see the latest price for Hollywood Tow’N GO, click here. This entry was posted in Bike rack, Hollywood Bike Rack on August 8, 2018 by ozziewizzard.